Why has the traditional speaker to be put away in the corner of the room or hidden in the wall? 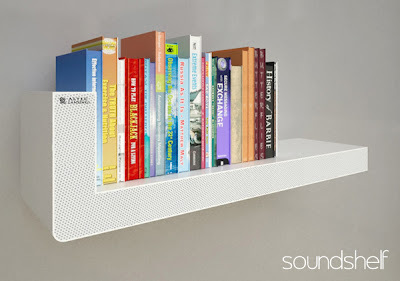 Speaker could be displayed, and the additional function could be imparted. The object becomes the item of furniture by a simple arrangement of dvd and books. Two suggestions of shape give the possibility to arrange the interior in the modern style and to achieve a good quality of home video amplification. 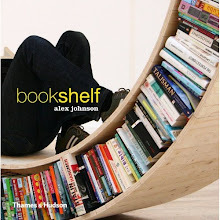 You can try these bookshelves to make your interior more compact. Buying these can make your living more tidy. That's a very clever idea. It is very slick and would complement my Aeron chairby Herman Miller.